Lauren has lived in eight different countries, including Barcelona where as a child her first experience with an animal was a lion cub; a rather unusual gift from the zoo. As the lion got older, and larger, it moved to a more suitable habitat, but the experience of forming a close understanding with an animal never left her. After getting her MA in International Relations, Lauren embarked on a long career as a marketing specialist. Her move from England back to the US in 1998 proved to be a turning point in her life. The family Malamute's health and behavior issues drew Lauren to the Tellington TTouch Training and animal communication. Realizing how effective Tellington TTouch Method was, she became a Practitioner and worked briefly as the Executive Director of the TTouch organization. Lauren continues to enjoy sharing the benefits of TTouch with people whose animals are experiencing health or behavior issues. However, it is the bond, the heart connection that TTouch enables people to make with their animal companions that truly excites her. Through her work as an animal communicator, Lauren became interested in helping people with pet loss by presenting the animal's perspective on life and death. Her book, The Eternal Gift, is a #1 best seller in Japan. She divides her time between teaching groups and giving private sessions on TTouch and animal communication in several countries. Lauren was made a Tellington TTouch Method Instructor for Asia, in the spring of 2010. She currently lives in Oregon with her partner, a dog, cat, rabbit and two very squeaky guinea pigs. 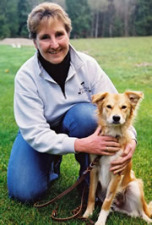 To learn more about Lauren, visit her website www.IntegratedAnimal.com. Tina has worked with animals for many years and joined one of the first TTouch Practitioner Training Programs in the UK. She has worked as a Practitioner for Companion Animals and Horses for over thirteen years and became an Instructor in 2009. Tina has worked at Tilley Farm, the centre for TTouch in the UK, for the past eight years and is a valuable member of the team. Tina works closely with Sarah Fisher and has appeared in all of Sarah's books. She works with the horses coming in to the farm for rehabilitation and training, assists on every Practitioner Training Clinic and sees private clients on a one to one basis. Tina also teaches workshops and travels with Sarah around the UK. Congratulation to Eugénie for becoming the first TTouch Instructor in South Africa! Eugénie was recently honoured by Linda Tellington-Jones at a Tellington TTouch CELLebration in Santa Fe, New Mexico for her years of work in this field along with her tireless energy in promoting the work in South Africa. Eugénie is American born from Louisiana, although she has now been in South Africa for over 35 years. She was an animal lover from a young age but was never allowed a dog as a child as her father was handicapped and on crutches. She maintains she's still trying to make up for it! Eugénie came to Tellington TTouch Training when her dog SPCA special, Danilo became the neighbourhood villain and bully. After trying many traditional methods she came upon TTouch, which not only changed both their lives, but probably saved Danilo's as well. Eugénie maintains that most unwanted behaviours that clients want to work with, she has experienced with Danilo, and so empathy and experience come fairly easily! The results with Danilo were so amazing that Eugénie soon wanted to share the work and thus began the Tellington TTouch Program in South Africa. She runs this Program and the TTouch Office in South Africa and works to ensure that practitioners stay current with new techniques as well as old ones. The program has been running since 2001 and South Africa now boasts over 75 Practitioners. Eugénie has a Master's degree in Applied Music and spent many years performing Opera and teaching singers. She never dreamt that she would end up following a career with animals. Her real passion is dogs and she loves teaching people about ways to interact with animals that are neither frightening nor forceful. Because of this, she has spent extra time in the US becoming an expert on clicker training which she combines with TTouch when it's appropriate and useful. 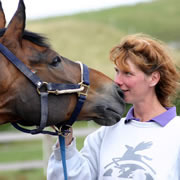 Sarah trained with Linda Tellington Jones and Robyn Hood and is the UK's highest qualified Equine and Companion Animal Instructor for Tellington TTouch Training. She runs the UK office for Tellington TTouch International, writes for national magazines and teaches one and two day workshops as well as working with private clients. Sarah runs the teaching Centre for Tellington TTouch. For further information contact Sarah Fisher, Tilley Farm, Farmborough, Nr Bath Somerset BA2 0AB Email: sarahfisher@ttouchtteam.co.uk Telephone: 01761-471182. Born in New Zealand, Edie Jane spent much of her childhood living in Ireland where her father, a Canadian diplomat, was posted. One of her first priorities upon arrival in Ireland was to find a way to get near a horse, and eventually she persuaded her parents to buy her a pony to join the donkey, a lamb, and various cats, dogs and a hamster. Edie Jane's interest in horses was never quite outgrown and when she settled in Canada, she started a small teaching and thoroughbred breeding stable. In 1980 Edie Jane became intrigued by the Feldenkrais Method, having seen it's influence on human recovery from physical and mental impairments. A Feldenkrais Practitioner told her about Linda Tellington-Jones and a weekend demonstration in Toronto began her involvement with Tellington TTouch Training. 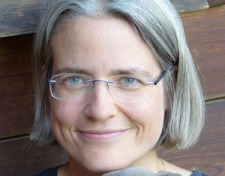 Edie Jane's fascination with the Feldenkrais Method - the principles of which underlie the Tellington TTouch Method - led her to become a Feldenkrais Practitioner. She also travels the world as a Tellington TTouch Instructor. When not traveling and teaching, Edie Jane keeps busy with her private Feldenkrais practice and workshops, and delights in being at home with her friends, family and her garden. For more information about Edie Jane, visit her website www.ListeningToWhispers.com. For as long as she can remember, Debby knew she would spend her life working with animals. She began to live the TTouch philosophy of creative problem solving even before she had any idea this would be her life’s work; she was extremely allergic to anything covered with hair or fur! Of course she dreamed of having a dog. Her turtle named Herman and her canary, Tangie, were wonderful but it wasn’t the same as thoughts of walks around the block with her very own dog. One day her parents learned that poodles didn’t shed. Shoni, a silver miniature poodle, soon became her best friend. Debby’s interest in health and well-being was sparked by her childhood companion animals, and continued with her becoming one of Oregon's first board certified veterinary technicians. She grew up breeding and showing horses, which gave her an extensive background into working with many different breeds and disciplines of horses. A horse born with severe neurological damage initially brought Debby to Tellington TTouch Training in 1984 after the veterinarians had done all they could to help the filly. The amazing progress Spirit made inspired Debby to use the Tellington techniques to improve the lives of animals and their people on a physical, mental and emotional level. Debby’s passion for helping people and animals in a fun, positive and creative way is evident in the many workshops and trainings she teaches every year. She has been a popular speaker at various international conferences including the Association of Pet Dog Trainers and the International Symposium on Rescue Dogs. 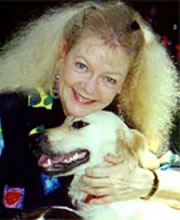 She established TTouch in Japan and oversees the Tellington TTouch Companion Animal Practitioner Training there. From the beginning, Debby has used the Tellington Method to help humans as well as animals. Today Debby frequently works with people to help them reduce pain, recover from illness or injury and to improve mobility and function. She finds the Tellington work and philosophy to be an important part of helping people to find balance and well being in their lives. She often says, “TTouch isn’t just what I do, it’s who I am.” TTouch philosophy has strongly influenced her life and that of her family. Her two wonderful sons were raised with these concepts and often asked their mom for TTouch when they had bumps and bruises. Debby travels much of the year teaching trainings and working privately with individuals in North America, Europe, South Africa and various parts of Asia. She lives near Portland, Oregon with her human and animal family. For more information about Debby visit her website www.IntegratedAnimal.com. Lindy started riding at age 10 in Stellenbosch near Cape Town, South Africa. The majority of the horses were rescued racehorses with problems. She was always surrounded by animals and her parental home was never without at least two dogs and two cats. She was given a rescued donkey in 1967 and had him for four years. After studying Biochemistry, Microbiology and Genetics at university, Lindy moved with her husband Rick to Johannesburg in 1979. There she changed careers to become a computer programmer, and she is still involved in doing support for a consulting company. In 1987 Lindy reached her dream and acquired her first horse 'Babyshoes' (ex-racehorse TB gelding) who stayed with her for nearly 21 years. Lindy has competed in dressage to Elementary level. 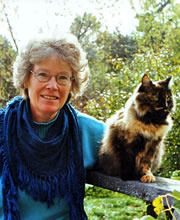 In March, 1999 she attended a Natural Healing course for animals that included Reiki and Aromatherapy as well as an introduction to the Tellington TTouch Method. She started her own therapy business in 2000. In January, 2001 she attended her first five-day TTouch workshop for horses and hasn't looked back. She has been organizing the Tellington TTouch practitioner training clinics in Johannesburg since 2002. 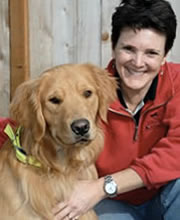 Now Lindy is a Tellington TTouch Instructor for Companion Animals and for Horses. Besides organizing the practitioner training clinics for the Tellington TTouch Method for horses, she gives clinics as well as private consultations for both horses and companion animals while traveling to all sorts of interesting places! To learn more about Lindy, visit her website, www.lindydekker.com. 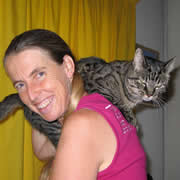 Daniela qualified from Hannover Veterinary School in 1999. In 2000 she finished her research thesis about Green Iguanas. Since then she has been working in a holistic veterinary practice near Nuremberg, South of Germany. She is a certified behavior veterinarian and TTouch-for-you Practitioner. Additional to her work at the veterinary clinic she works as a consultant for zoos and private exotic animal owners. She has published two books and many articles about holistic behavior medicine and is a regular speaker at veterinary conferences.